Colchicine is a medication that treats gout. It is a toxic natural product and secondary metabolite, originally extracted from plants of the genus Colchicum (autumn crocus, Colchicum autumnale, also known as "meadow saffron"). It was used originally to treat rheumatic complaints, especially gout, and still finds use for these purposes today despite dosing issues concerning its toxicity. It was also prescribed for its cathartic and emetic effects. In addition to gout, colchicine is used to treat familial Mediterranean fever, pericarditis, and Behçet's disease. The plant source of colchicine, the autumn crocus (Colchicum autumnale), was described for treatment of rheumatism and swelling in the Ebers Papyrus (ca. 1500 B.C. ), an Egyptian medical papyrus. Colchicum extract was first described as a treatment for gout in De Materia Medica by Pedanius Dioscorides, in the first century AD. Use of the bulb-like corms of Colchicum to treat gout probably dates to ca. 550 AD, as the "hermodactyl" recommended by Alexander of Tralles. Colchicum corms were used by the Persian physician Avicenna and other Islamic physicians, were recommended by Ambroise Pare in the sixteenth century, and appeared in the London Pharmacopoeia of 1618. Colchicum plants were brought to America by Benjamin Franklin, who suffered from gout himself and had written humorous doggerel about the disease during his stint as envoy to France. Colchicine was first isolated in 1820 by the French chemists P.S. Pelletier and J.B.Caventou. In 1833, P.L. Geiger purified an active ingredient, which he named colchicine. The determination of colchicine's structure required decades, although in 1945 Michael Dewar made an important contribution when he suggested that, among the molecule's three rings, two were 7-member rings. Its pain-relieving and anti-inflammatory effects for gout were linked to its ability to bind with tubulin. Oral colchicine had been used for many years as an unapproved drug with no prescribing information, dosage recommendations, or drug interaction warnings approved by the U.S. Food and Drug Administration (FDA). On July 30, 2009 the FDA approved colchicine as a monotherapy for the treatment of three different indications (familial Mediterranean fever, acute gout flares, and for the prophylaxis of gout flares), and gave URL Pharma a three-year marketing exclusivity agreement in exchange for URL Pharma doing 17 new studies and investing $100 million into the product, of which $45 million went to the FDA for the application fee. URL Pharma raised the price from $0.09 per tablet to $4.85, and the FDA removed the older unapproved colchicine from the market in October 2010 both in oral and IV form, but gave pharmacies the opportunity to buy up the older unapproved colchicine. Colchicine in combination with probenecid has been FDA approved prior to 1982. Colchicine inhibits microtubule polymerization by binding to tubulin, one of the main constituents of microtubules. Availability of tubulin is essential to mitosis, and therefore colchicine effectively functions as a "mitotic poison" or spindle poison. The mitosis inhibiting function of colchicine has been of great use in the study of cellular genetics. To see the chromosomes of a cell under a light microscope, it is important that they be viewed near the point in the cell cycle in which they are most dense. This occurs near the middle of mitosis (specifically metaphase), so mitosis must be stopped before it completes. Adding colchicine to a culture during mitosis is part of the standard procedure for doing karyotype studies. Apart from inhibiting mitosis (a process heavily dependent on cytoskeletal changes), colchicine also inhibits neutrophil motility and activity, leading to a net anti-inflammatory effect. This has proven useful in the treatment of acute gout flares. Colchicine has a relatively low therapeutic index. In August 2009, colchicine won Food and Drug Administration (FDA) approval in the United States as a stand-alone drug for the treatment of acute flares of gout and familial Mediterranean fever. It had previously been approved as an ingredient in an FDA-approved combination product for gout. The approval was based on a study in which two doses an hour apart were effective at combating the condition. It is also used as an anti-inflammatory agent for long-term treatment of Behçet's disease. Since one of the defining characteristics of cancer cells is a significantly increased rate of mitosis, this means that cancer cells are significantly more vulnerable to colchicine poisoning than are normal cells. However, the therapeutic value of colchicine against cancer is (as is typical with chemotherapy agents) limited by its toxicity against normal cells. The British drug development company Angiogene is developing a prodrug of a colchicine congener, ZD6126 (also known as ANG453) as a treatment for cancer. Colchicine is used for constipation-predominant irritable bowel syndrome in women, and for treatment of severe or persistent aphthous stomatitis (canker sores). 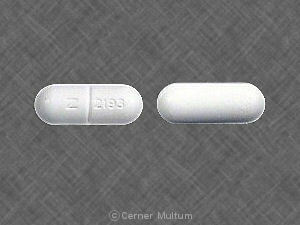 Colchicine is also used as adjunct to conventional therapy in the treatment of pericarditis. An Australian randomized trial found low-dose colchicine substantially reduced the risk of heart attack, stroke, and sudden death in people with coronary heart disease. Side-effects include gastrointestinal upset and neutropenia. High doses can also damage bone marrow and lead to anemia and also cause hair loss. All of these side-effects can result from hyperinhibition of mitosis. A main side-effect associated with all mitotic inhibitors is peripheral neuropathy, which is a numbness or tingling in the hands and feet due to peripheral nerve damage that can become so severe that reduction in dosage or complete cessation of the drug may be required. Microtubules are involved in vesicular transport. Peripheral nerves are among the longest in the body. Brownian motion is not significant enough in these peripheral nerves to allow vesicles to reach their destination. Thus, they are susceptible to microtubule toxins. Colchicine poisoning has been compared to arsenic poisoning. Symptoms start 2 to 5 hours after the toxic dose has been ingested and include burning in the mouth and throat, fever, vomiting, diarrhea, abdominal pain, and kidney failure. These symptoms may set in as many as 24 hours after exposure. Onset of multiple-system organ failure may occur within 24 to 72 hours. This includes hypovolemic shock due to extreme vascular damage and fluid loss through the GI tract, which may cause death. In addition, sufferers may experience kidney damage that causes low urine output and bloody urine, low white blood cell counts (persisting for several days), anemia; muscular weakness, and respiratory failure. Recovery may begin within six to eight days. There is no specific antidote for colchicine, though various treatments exist. Certain common inhibitors of CYP3A4 and/or P-gp, including grapefruit juice, may increase the risk of colchicine toxicity. Several experiments show that the biosynthesis of colchicine involves the amino acids phenylalanine and tyrosine as precursors. Indeed, the feeding of Colchicum autumnale with radioactive amino acid, tyrosine-2-C14, caused the latter to partially incorporate in the ring system of colchicine. The induced absorption of radioactive phenylalanine-2-C14 by Colchicum byzantinum, another plant of the Colchicaceae family, resulted in its efficient absorption by colchicine. However, it was proven that the tropolone ring of colchicine resulted, in essence, from the expansion of the tyrosine ring. Further radioactive feeding experiments of Colchicum autumnale revealed that Colchicine can be synthesized biosynthetically from (S)-Autumnaline. That biosynthesic pathway occurs primarily through a para-para phenolic coupling reaction involving the intermediate isoandrocymbine. The resulting molecule undergoes O-methylation directed by S-Adenosylmethionine (SAM). Two oxidation steps followed by the cleavage of the cyclopropane ring leads to the formation of the tropolone ring contained by N-formyldemecolcine. N-formyldemecolcine hydrolyzes then to generate the molecule demecolcine, which also goes through an oxidative demethylation that generates deacetylcolchicine. The molecule of colchicine appears finally after addition of acetyl-Coenzyme A to deacetylcolchicine. Since chromosome segregation is driven by microtubules, colchicine is also used for inducing polyploidy in plant cells during cellular division by inhibiting chromosome segregation during meiosis; half the resulting gametes, therefore, contain no chromosomes, while the other half contain double the usual number of chromosomes (i.e., diploid instead of haploid, as gametes usually are), and lead to embryos with double the usual number of chromosomes (i.e., tetraploid instead of diploid). While this would be fatal in most higher animal cells, in plant cells it is not only usually well tolerated but in fact frequently results in plants that are larger, hardier, faster-growing, and in general more desirable than the normally diploid parents; for this reason, this type of genetic manipulation is frequently used in breeding plants commercially. When such a tetraploid plant is crossed with a diploid plant, the triploid offspring will usually be sterile (unable to produce fertile seeds or spores), although many triploids can be propagated vegetatively. Growers of annual triploid plants not readily propagated must buy fresh seed from a supplier each year. Many sterile triploid plants, including some tree and shrubs, are becoming increasingly valued in horticulture and landscaping because they do not become invasive species. In certain species, colchicine-induced triploidy has been used to create "seedless" fruit, such as seedless watermelons (Citrullus lanatus). Since most triploids do not produce pollen themselves, such plants usually require cross-pollination with a diploid parent to induce fruit production. Colchicine's ability to induce polyploidy can be also exploited to render infertile hybrids fertile, for example in breeding triticale (× Triticosecale) from wheat (Triticum spp.) and rye (Secale cereale). Wheat is typically tetraploid and rye diploid, with their triploid hybrid infertile; treatment of triploid triticale with colchicine gives fertile hexaploid triticale. When used to induce polyploidy in plants, colchicine cream is usually applied to a growth point of the plant, such as an apical tip, shoot, or sucker. Also, seeds can be presoaked in a colchicine solution before planting. Another way to induce polyploidy is to chop off the tops of plants and carefully examine the regenerating lateral shoots and suckers to see if any look different. If no visual difference is evident, flow cytometry can be used for analysis. Doubling of plant chromosome numbers also occurs spontaneously in nature, with many familiar plants being fertile polyploids. Natural hybridization between fertile parental plants of different levels of polyploidy can produce new plants at an intermediate level, such as a triploid produced by crossing between a diploid and a tetraploid, or a hexaploid produced by crossing between a diploid and an octoploid. As a drug predating the FDA, colchicine was sold in the United States for many years without having been reviewed by the FDA for safety and efficacy. 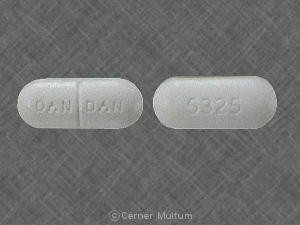 In 2009, the FDA reviewed an NDA submitted by URL Pharma and approved colchicine for gout flares, awarding Colcrys a three-year term of market exclusivity, prohibiting generic sales, and increasing the price of the drug from $0.09 to $4.85 per tablet. In April 2010, in an editorial in the New England Journal of Medicine (NEJM), A.S. Kesselheim and D.H. Solomon said that the rewards of this legislation are not calibrated to the quality or value of the information produced, that there is no evidence of meaningful improvement to public health, that it would be much less expensive for the FDA, the National Institutes of Health or large insurers like medicare and medicaid or coalitions of private insurers to pay for trials themselves. Furthermore, the cost burden of this subsidy falls primarily on patients or their insurers. URL Pharma posted a detailed rebuttal of the NEJM editorial. In September 2010, the FDA ordered a halt to marketing unapproved single-ingredient oral colchicine. The patents for colchicine will expire on February 17, 2029. ^ a b "Colchicine for acute gout: updated information about dosing and drug interactions". National Prescribing Service. 14 May 2010. Retrieved 14 May 2010. ^ Wallace Graham and James B. Roberts (1953). "Intravenous colchicine in the treatment of gouty arthritis". Ann Rheum Dis 12 (1): 16–19. doi:10.1136/ard.12.1.16. PMC 1030428. PMID 13031443. ^ Manuchair S. Ebadi (2007). Pharmacodynamic basis of herbal medicine. ISBN 978-0-8493-7050-2. ^ Pelletier and Caventou (1820) "Examen chimique des plusieurs végétaux de la famille des colchicées, et du principe actif qu'ils renferment. [Cévadille (veratrum sabadilla) ; hellébore blanc (veratrum album) ; colchique commun (colchicum autumnale)]" (Chemical examination of several plants of the meadow saffron family, and of the active principle that they contain.) Annales de Chimie et de Physique, 14 : 69-81. ^ Geiger, Ph. L. (1833) "Ueber einige neue giftige organische Alkalien" (On some new poisonous organic alkalis) Annalen der Pharmacie, 7 (3) : 269-280; colchicine is discussed on pages 274-276. ^ a b "FDA Approves Colchicine With Drug Interaction and Dose Warnings". July 2009. ^ Cerquaglia C, Diaco M, Nucera G, La Regina M, Montalto M, Manna R (February 2005). "Pharmacological and clinical basis of treatment of Familial Mediterranean Fever (FMF) with colchicine or analogues: an update". Current drug targets: inflammation and allergy 4 (1): 117–24. doi:10.2174/1568010053622984. PMID 15720245. ^ Cocco, Giuseppe; Chu, David C.C. ; Pandolfi, Stefano (2010). "Colchicine in clinical medicine. A guide for internists". European Journal of Internal Medicine 21 (6): 503. doi:10.1016/j.ejim.2010.09.010. PMID 21111934. ^ Verne, GN; Davis et al (May 1998). "Treatment of chronic constipation with colchicine: randomized, double-blind, placebo-controlled, crossover trial.". Am J Gastroenterology 98 (5): 1112–6. ^ Porter, S; Scully (June 2005). "Aphthous Ulcers (recurrent)". Clin Evid 13: 1687–1694. ^ Nidorf, SM (2012). "Low-dose colchicine for secondary prevention of cardiovascular disease.". J Am Coll Cardiol 61: 404–410. doi:10.1016/j.jacc.2012.10.027. ^ Colchicine. National Institute for Occupational Safety and Health. Emergency Response Safety and Health Database, August 22, 2008. Retrieved December 23, 2008. ^ Leete, E. The biosynthesis of the alkaloids of Colchicum: The incorporation of phenylalaline-2-C14 into colchicine and demecolcine. J. Am. Chem. Soc. 1963, 85, 3666-3669. ^ Dewick, P. M.(2009).Medicinal Natural Products: A biosynthetic Approach. Wiley. p.360-362. ^ Maier, U. H.; Meinhart, H. Z. Colchicine is formed by para para phenol-coupling from autumnaline. Tetrahedron Lett. 1997, 38, 7357-7360. ^ Kurt R. Karst (2009-10-21). "California Court Denies Preliminary Injunction in Lanham Act Case Concerning Unapproved Colchicine Drugs". ^ Harris Meyer (2009-12-29). "The High Price of FDA Approval". Kaiser Health News and the Philadelphia Inquirer. ^ "FDA Unapproved Drugs Initiative". ^ "About Colcrys". Colcrys. URL Pharma. Retrieved 11 September 2011. ^ a b Kesselheim AS, Solomon DH (June 2010). "Incentives for drug development--the curious case of colchicine". N. Engl. J. Med. 362 (22): 2045–7. doi:10.1056/NEJMp1003126. PMID 20393164. ^ "FDA orders halt to marketing of unapproved single-ingredient oral colchicine". 30 Sep 2010. Eugene E. Van Tamelen, Thomas A. Spencer Jr., Duff S. Allen Jr., Roy L. Orvis (1959). "The Total Synthesis of Colchicine". J. Am. Chem. Soc. 81 (23): 6341–6342. doi:10.1021/ja01532a070. YHHU0895, a novel synthetic small-molecule microtubule-destabilizing agent, effectively overcomes P-glycoprotein-mediated tumor multidrug resistance. Zhao H, Quan H, Xie C, Xu Y, Xie F, Hu Y, Lou L.SourceState Key Laboratory of Drug Research, Shanghai Institute of Materia Medica, Chinese Academy of Sciences, Shanghai 201203, China. Cancer letters.Cancer Lett.2012 Jan 1;314(1):54-62. Epub 2011 Sep 19. Gupta R, Woodley DT, Chen M.AbstractEpidermolysis bullosa acquisita (EBA) is a rare, acquired, chronic subepidermal bullous disease of the skin and mucosa characterized by autoantibodies to type VII collagen (C7) structures, a major component of anchoring fibrils, which attach the epidermis to the dermis. EBA patients have tissue-bound and circulating antitype C7 autoantibodies that attack type C7 and result in a reduction or perturbation of normally functioning anchoring fibrils. Patients with EBA have skin fragility, blisters, erosions, scars, milia, and nail loss, all features reminiscent of genetic dystrophic epidermolysis bullosa. These immunoglobulin G antitype C7 antibodies are pathogenic, because when they are injected into mice, the mice develop an EBA-like blistering disease. In addition to the classical mechanobullous presentation, EBA also has several other distinct clinical syndromes similar to bullous pemphigoid, Brunsting-Perry pemphigoid, or cicatricial pemphigoid. Although treatment for EBA is often unsatisfactory, some therapeutic success has been achieved with colchicine, dapsone, plasmapheresis, photopheresis, infliximab, and intravenous immunoglobulin. Clinics in dermatology.Clin Dermatol.2012 Jan;30(1):60-9.